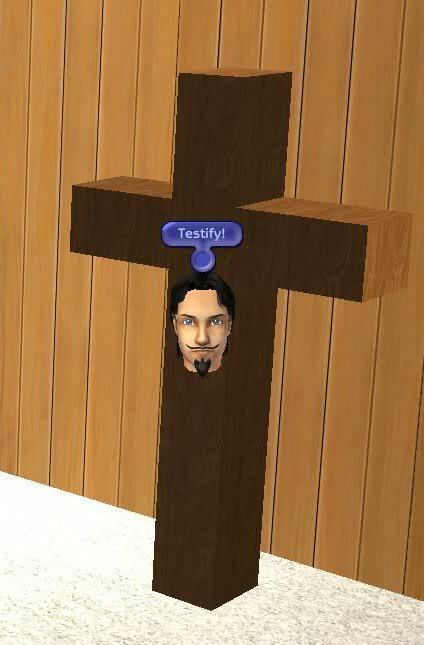 Description: A cross with praying animations. 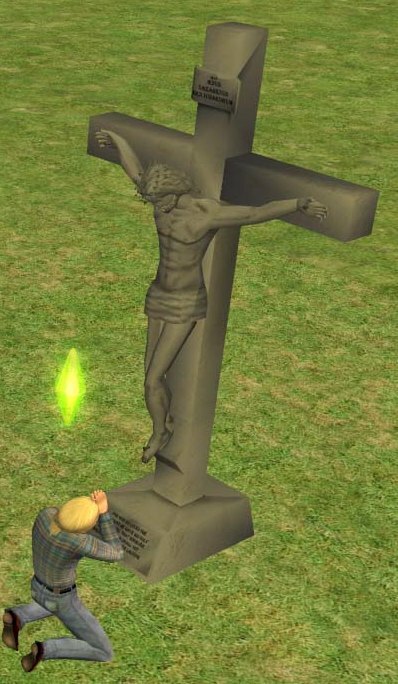 Description: A sculpture that lets your sims gain body, fitness and social while praying. Description: Russian icons, easter eggs and candles. 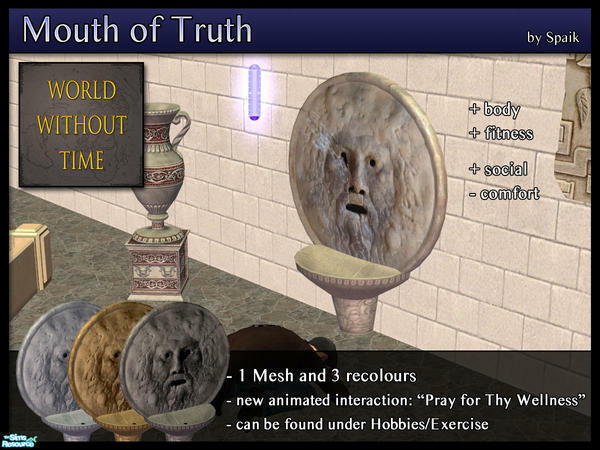 Description: Jacoban Ceremonial Altar from The Sims Medieval. 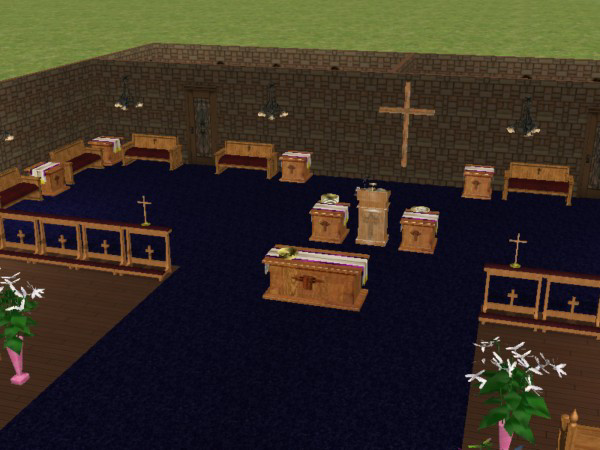 Description: A set of church furniture and graveyard items. Description: Holy Bible with custom praying animations.